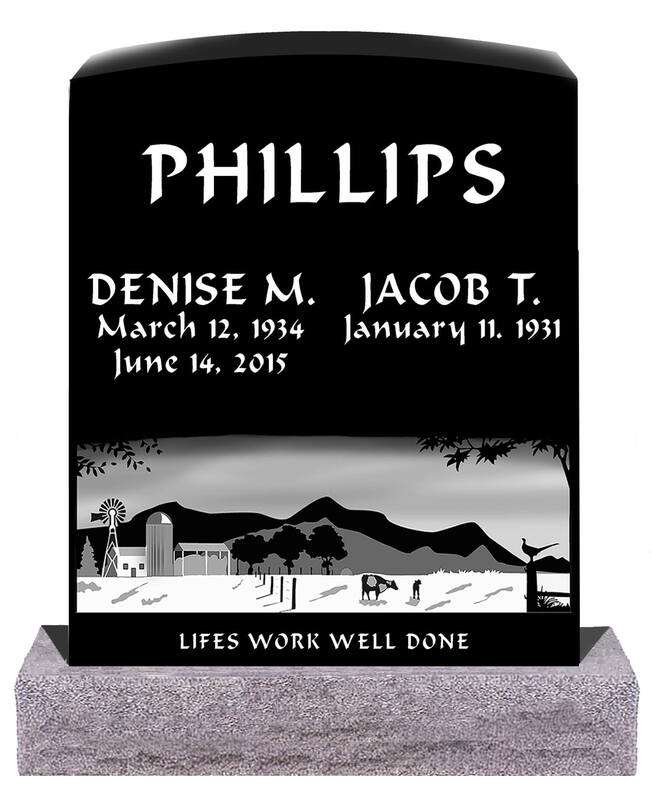 Meadowlark Memorials can draw any design that you would like your memorial. Whether it be a tranquil lake scene or family farmhouse. Simply supply us with an image of the desired artwork and we will create a layout for you. Our custom scenes are made from a combination of fine sand etching and diamond rotary tools. Techniques like this yield the best results and allow for extreme detail and precision. We do not use bright white paint in our designs. Instead, we use the correct engraving procedure. This ensures that we can guarantee legibility for all our memorials stones. Our memorials come with three hours of design time. This is usually enough time to design a custom scene. Some scenes may require more time depending on how detailed it is. Epitaphs are more commonly short and concise. Choosing a suitable headstone saying can be the hardest part for most families to decide on. It may seem impossible to sum up a person’s life in a few words. Timeless Epitaphs such as “In Loving Memory” and “Forever Loved” are the most common epitaphs. Sometimes a favorite saying of our loved fits just perfect. Below is a list of timeless epitaphs.